This is a proposal to tear down the old Army Navy Store Annex and build this. I'm not a big fan of the spire in that part of town, but hey...anything is better than what's on that corner now. I like how they've duplicated the front and side elevations of the original buildings with the first two floors of the new building...and how the glass of the upper levels makes them somewhat transparent and less obtrusive. But the spire...they can keep it and maybe go throw it on top of the Peacock building instead. Thanks for sharing this with us, Brad! Could you imagine if this facade were put up using re-claimed bricks, just like the Fieldhouse and West End Field? They say they plan on reusing as much original building material as possible. Which I would think would mean reusing the brick. That brick will take some cleaning though. I think some of the brick isn't salvagable, itsn't it crumbling, I seem to remember that was one of the problems withthe exsisting building. I LOVE IT! This is EXACTLY what the West End needs to make the connection between the Riverplace end to the Ball park end. Make that leap across River Street. And it affirms the West End Character, yet pushes the limits. I think it will be a good addition in every way. Wow, what an improvement that would be. Didn't they try this once before, and the DPC wouldn't let them tear them down? They asked to tear it down, but I'm not sure what their plans were to replace it, if they had any at the time. I think it helps that they're essentially replacing the building with the same or similar facade for historical purposes. So, we'll see! Excellent to see a plan for this key corner in West End!!! Not too sure about the building....it'll probably grow on me. The first two floors are beautiful and look very West End. The top two floors.....ummm....not very West End. Think this will make it past the DPC? I love it!!! I hope the DPC approves it and construction begins ASAP. We need some building activity DT since all the other projects are stalled. Activity breeds activity. Think this will make it past the DPC? I dunno. This is their second attempt. This one looks a little more "acceptable" than the first. We'll see. The 10-scaled-back-to-8 story condo tower behind this is still up in the air, too. I don't remmeber ever seeing a rendering of the first proposal. Does anyone have it? Up in the air, in terms of what RT? The design was approved, so is the developer pulling back for some reason? From the latest update in the thread dedicated to that one, the design is being tweaked. I would have expected to see it going up by now if things were in place for it to be a "go." Here's what they should try and submit. 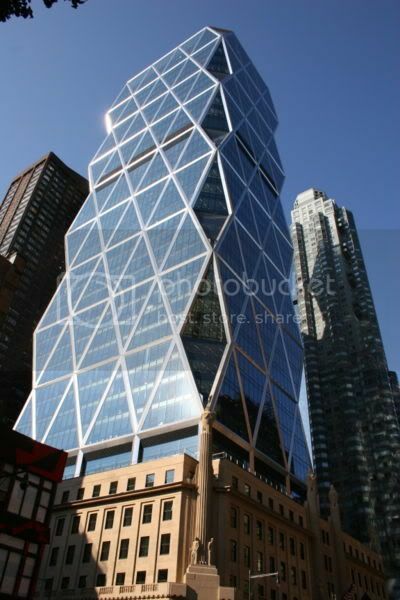 This is Hearst Tower in New York. The base is totally original and then the tower springs up from inside it. Sort of 708 S. Main st but just a bit bigger. Also, I went back through the West End thread and I don't believe we ever saw any renderings...just an article from the Greenville News and some discussion of whether a 4-story building would fit in or not. I remember seeing a drawing for some reason, but like you said, I looked for it, and just can't find it. For some reason, I'm thinking it may have been one of those protected images that was included with the Greenville News article and not downloadable? It's been so long that I don't remember. That project when first announced was stated as being years out. I was just reading back over this whole project. This will completely commercial? No residential on the upper floors? From the thread title, I thought you were referring to the Green Monster at West End Field. Is it normal protocol to post the guys name, address and email? I honestly don't know but it seems odd that that very private info hasn't been blacked out. I guess he's cool with it, since it's public record? I hope my question didn't come across as hostile, that wasn't my intent and I apologize if it seemed that way. I'm very new to commercial real estate and don't know all of the "ins & outs". I honestly didn't know that it was normal to publicly display a developer/investors private info. I remember seeing renderings for the old proposal that was shot down. I thought it looked very nice. It had more glass, and the upper floors had more of a step-back look to it. 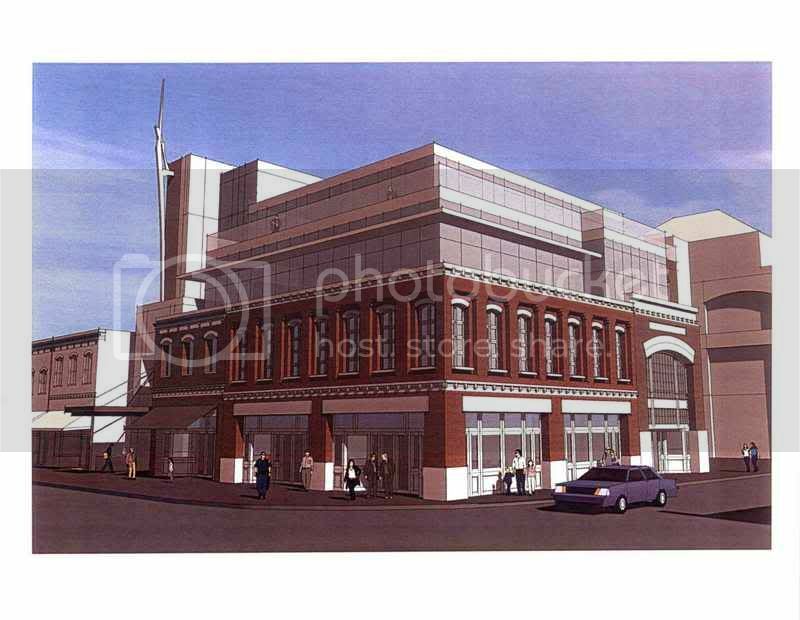 The new rendering is nicer than some of the other ones floating around town, and certainly better than what is there. I know some of you will think I am being too picky or too negative, but I just feel like Gville needs some new and more original architecture. I feel like we are getting nothing but half brick/half glass buildings with square corners, mostly flat roofs (except weak attemts for side spires), and little height. I see some of the proposals that some of our peer cities have out, (or even buildings already built) and they just seem much more creative, more bold, better thought out, and seem to have more variety. It is almost like the developers/archtects are afraid to try some new stuff (thanks to the DPC? ), "hey let's stick with the old standbye!" I don't know, some of these proposals are "better than what we have now," but it just seems like there is not much substance to them. While this rendering is not bad, it seems like in a few years it will be just another boring four storey boxy building, with little uniqueness or something to make it stand out. I guess that is how the new Peacock design strikes me too. Just my input on some of the new proposals/ designs. Don't feel bad, Sonrise. I was actually wondering the same thing. Just about all of these public documents have such information on them, though. I suppose one could always set up a special e-mail account and use it as a pooled resource when submitting proposals/applications/etc. if they ever felt that having their own personal e-mail address public was to be a problem.